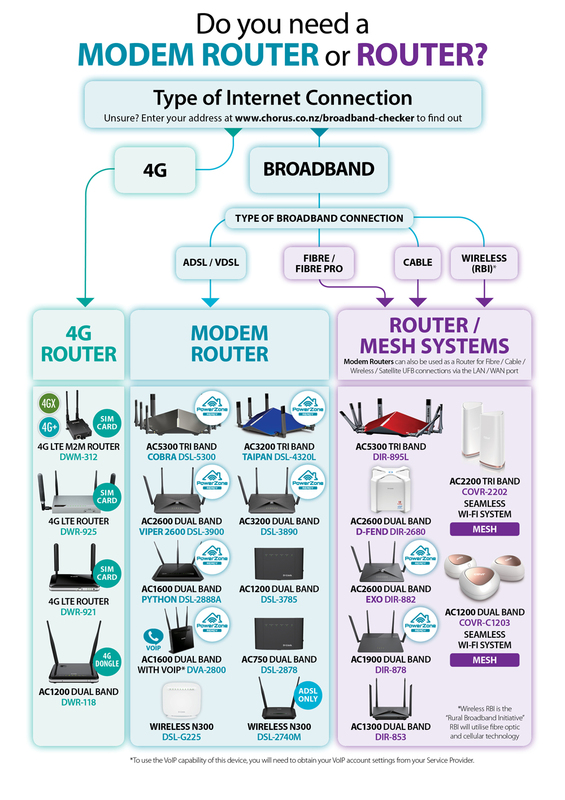 D-Link has a range of Routers to meet your everyday needs for home and small business. 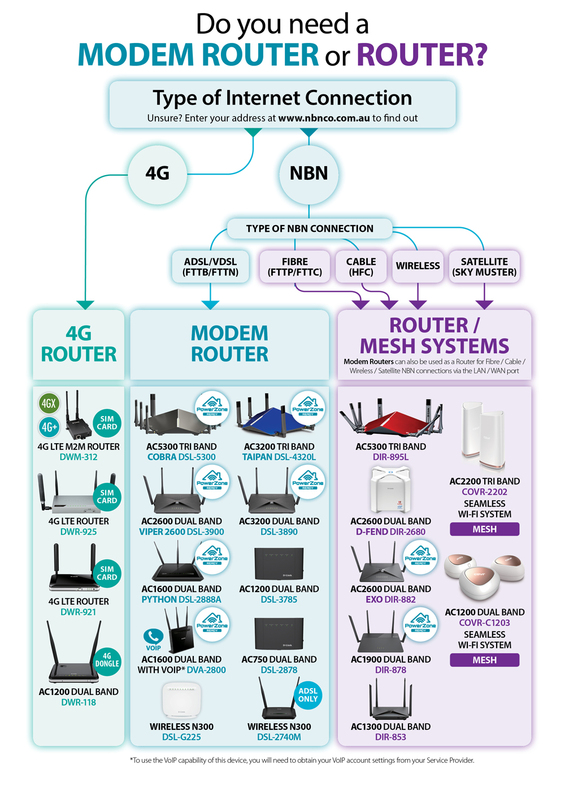 Connect a Wireless Router to your existing Cable, NBN or DSL modem to create a secure wireless network to share your Internet connection with everyone in the home. You can easily share photos, files, music, video, printers, network storage and much more throughout your home or office. With Wireless AC, the newest generation of Wi-Fi technology, enjoy ultra-fast speeds on your wireless network and experience uninterrupted video-streaming, lightning-quick web pages and much more!